It is definitely no more business as usual for the oil multinationals in the country as the Nigerian Maritime Administration and Safety Agency (NIMASA) has barred them from enjoying waivers under the Cabotage regime. Director-General, NIMASA, Dakuku Peterside, who disclosed this at a meeting with the Oil Producers Trade Sector (OPTS) in Lagos, said the agency would no longer encourage the application of any form of waivers under the Cabotage Act, particularly from the oil firms operators, as such does not help the growth of the Nigerian maritime sector and economy at large. Peterside urged the International Oil Companies (IOCs) to support NIMASA’s bid to ensure full implementation of the Act, adding that it would equally be of more benefit to the investors in the sector as it will be cost effective for them to engage Nigerians.Commenting on the previous resolutions with the OPTS, the NIMASA boss stated that there was need for the trade section of the oil producers to fulfill their own part of the agreement. He said NIMASA will not compromise the growth of the maritime sector, especially when it comes to the issue of enforcing statutory regulations enshrined in the Agency’s empowering instruments. 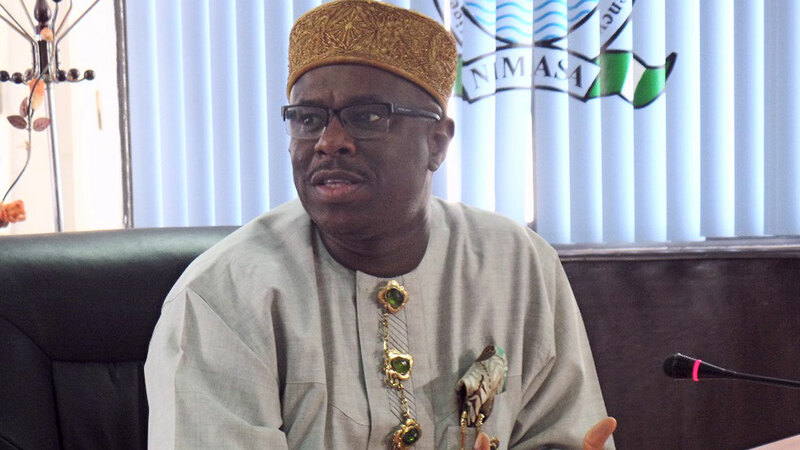 Peterside further stated that in NIMASA’s bid to grow the industry, it would not hesitate to wield its powers where necessary, adding that the agency’s mandate is strictly regulatory. But he also noted that NIMASA preferred the method of engaging key players in the industry for symbiotic benefits. Executive Director of OPTS, which comprises major oil companies, Bunmi Toyobo, said the trade section was ready to comply with all directives of NIMASA. He said the information required by the agency to build and harmonise its data for better regulation of the sector will be provided by OPTS. The meeting, which was well attended by OPTS, had managing directors and representatives of major oil firms, including Total, Exxon Mobil, Shell, and Agip among others.